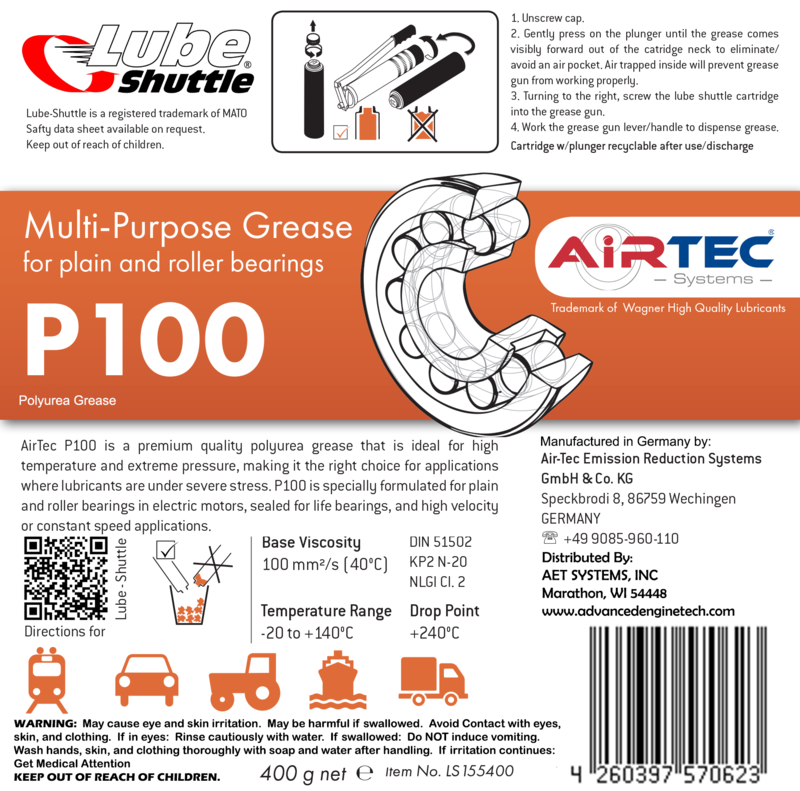 AET Systems, Inc. is proud to be the first company in the United States to offer AirTec Lube-Shuttle® Grease Guns and Grease. It is part of our continued commitment to bring better lubricant technology to the US and we have no doubt that Lube-Shuttle® is the future of the grease application industry. Currently 4 greases are available in the U.S. including AirTec G200 and AirTec MoS2. These greases are both produced in Germany and held to the highest quality standards. Both greases have great water resistance and are rated for use across a wide variety of industries. Industries/applications include: Agricultural, Construction, Industrial Use, Marine, Recreation and 4x4, as well as the Fleet and Transportation Industries! Find out which grease is right for you below! 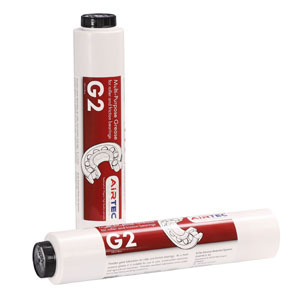 AirTec G2 is a multipurpose multi-use grease design to fulfill and exceed the most common greasing applications. It is a lithium based grease and has good water resistance and pressure resistance. Ideal for wheel bearing and friction bearing lubrication. Contains anti-oxidants and corrosion inhibitors to provide excellent resistance to oxidation and corrosion. Specialized polymers also help the grease stick to the surface so that under stress or pressure the grease remains in place and continues providing lubrication. 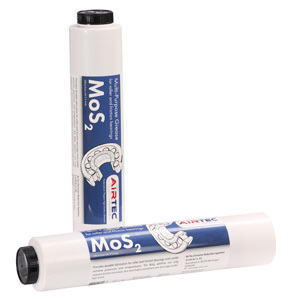 AirTec MoS2 is a lithium based, multi purpose grease containing 3% molybdenum disulfide, which gives it excellent wear and pressure protection. This is grease is best used in high stress wheel and friction bearings found in suspensions, heavy construction equipment, and industrial machines. In addition to the 3% moly it also contains corrosion inhibitors, polymers for better metal adhesion, and anti-oxidant additives that make it a great all round grease for high temperature and high pressure situations. AIRTEC G200 EP is lubricating grease, natural colored and lithium saponified, with chemically acting EP additives. 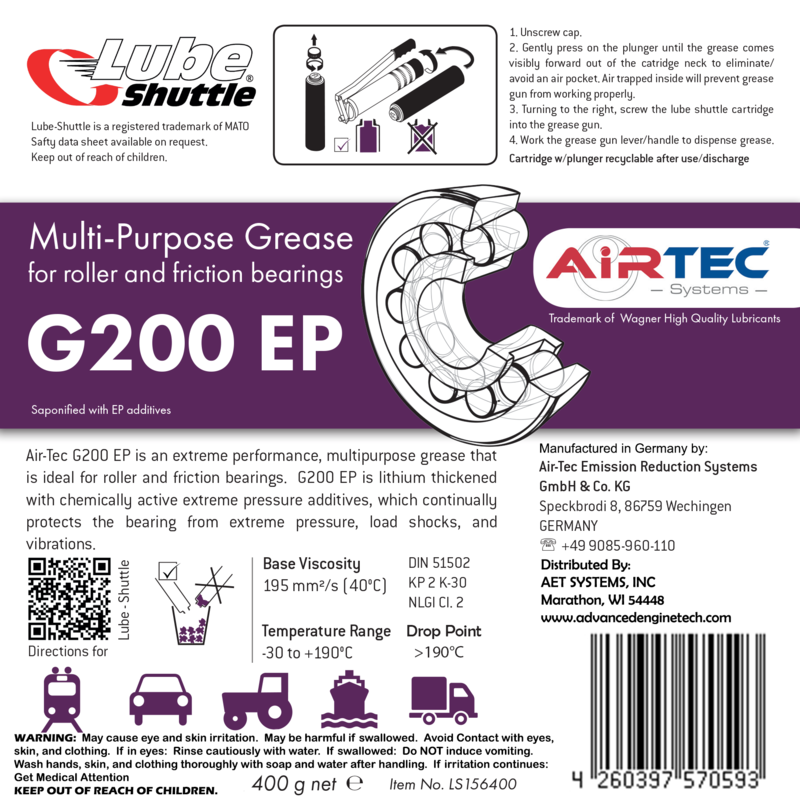 AIRTEC G200 EP is suitable for lubrication of roller and friction bearings under extreme pressure load shocks and vibrations. 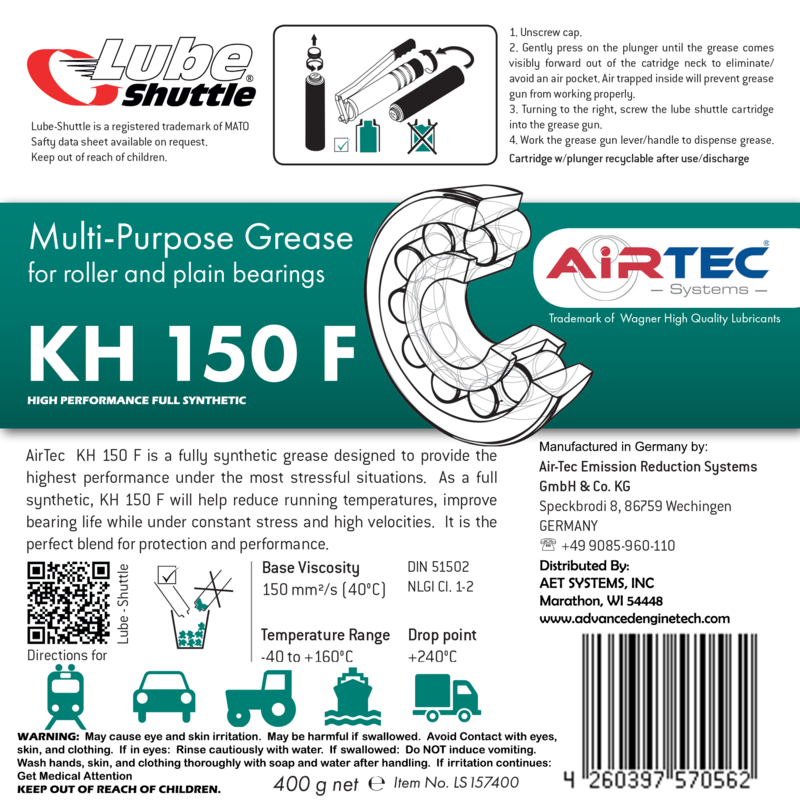 AET Systems makes it easy to purchase our Air-Tec Lube Shuttle Grease online and have it shipped directly to you.